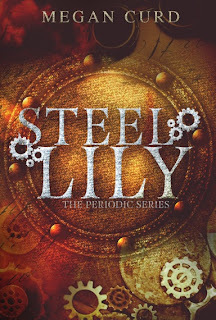 Welcome to my stop on the blog tour for Steel Lily, Megan Curd's new YA dystopian steampunk novel! Below you can find more info about the book and author as well as my review, an interview I was lucky enough to get out of Jax, the male lead, as well as a giveaway for a t-shirt, autographed books and more! 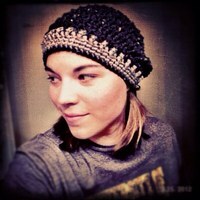 Megan Curd is a graduate of Northwestern College in St. Paul, Minnesota. While having always enjoyed reading any books she could get her hands on, Megan didn’t begin writing until a friend encouraged her to do so while in college. When not writing, Megan enjoys spending time with her family and friends. She loves to snowboard and travel to new places, and doesn’t turn down the opportunity to play xBox with her brother and friends when it presents itself. Megan currently resides in Stanton, Kentucky with her husband, son, and Great Dane named Dozer. The following review is based on an eARC that was provided to me by the tour organizer in exchange for my honest opinion. Steel Lily is set in an America of the not-so-distant future after World War III devastated the environment and the atmosphere. The surviving humans live in large domes where they try to keep things running and somehow, at some point, maybe populate the outside world again. At the moment, the air outside the domes is too toxic to breathe. Avery Pike, our heroine, is a very gifted elementalist. At 15, she already takes classes with the 19-year-olds and her ability to transform water to steam, which powers the whole dome, is unparalleled. What I like about Avery is that her ability has not made her arrogant. She’s a very down-to-earth, realistic person and the fact that the government has granted her access to certain luxuries has not caused her to forget where she came from and what she lost. Her parents disappeared a few years ago and apart from her childhood friends Alice and Legs she doesn’t really have anyone left. The loyalty and friendship between Avery and Alice was something I really enjoyed! Quite often in YA, the heroine doesn’t really have a good best girl friend with whom she has an equal relationship; there are often jealousies etc. and I was glad that this wasn’t the case here. The girls are their own family and they stick together when things get tough. And in the world of Steel Lily, things get tough often. The majority of people are poor (there’s a strict class division), there is no electricity (steampower only), and the corrupt Polatzi forces keep everyone subdued. Speaking up or resisting is not a smart idea. The war may only be talked about in government-sanctioned education classes and over the course of the novel, it becomes clear that not everything Avery’s been taught is actually true. When a mysterious man called Atticus Riggs offers her the option of studying at Chromelius Academy, in another dome, she’s suspicious. But how can she say no when Riggs new her parents? When she could live at a place where she’d be less of an outsider? The decision is made for her when the Polatzi raid Alice’s place and the girls are lucky to escape alive with the help of Jaxon Pierce, who was sent by Riggs to collect them and get them out of the dome. Jax was another reason why I enjoyed the novel so much. He’s a snarktastic smartass with a wonderful appreciation for sarcasm. He and Avery are at each other’s’ throats all the time but they are also clearly attracted to one another. Jax could have come off as a jerk but it’s clear from the beginning that his apparent confidence masks a lot of issues and vulnerabilities. It also doesn’t hurt that he’s hot in a grungy way and a genius mechanic and alchemist. Despite their mutual attraction, Avery has reason to mistrust him though and I liked that she didn’t just give in to him right away. Chromelius Academy is in another dome and let’s just say that things are very different there… on the surface. There are dark things brewing and Avery and the friends she makes there (among them a girl hacker! I love hackers!) are right in the middle of it. But who’s trustworthy? Who is really saying the truth? Trapped between forces who have been at war for years, Avery has to choose sides. And either one wants to use her because of what it turns out she can do. As you’ve probably gathered, the characters are what makes this novel amazing. They are all clearly drawn and have distinctive voices. The dialogue was authentic, snappy, and made me laugh a lot despite the sometimes bleak atmosphere of the world. The world building is very solid; the reader is given enough information to figure things out without being info-dumped. I’d like to know a little more about how the world became what it is, but the ending of the book suggests that we’ll learn more about that in the sequel. The pacing is also great. After getting to know Avery’s world, the action comes in quite quickly and the balance between character-focused and plot-focused scenes works out very well. There’s always something going on but the pace didn’t leave me breathless either. I was always engaged and wanted to keep reading and making up theories. My one complaint is related to that though. I suspected the main plot twist quite early on. I don’t know if that was just me picking up on the right vibes though, so it might be different for other people. In any case, there were a couple more twists after that one which totally blindsided me, and the whole novel ended up in a place I would never have guessed at the beginning! 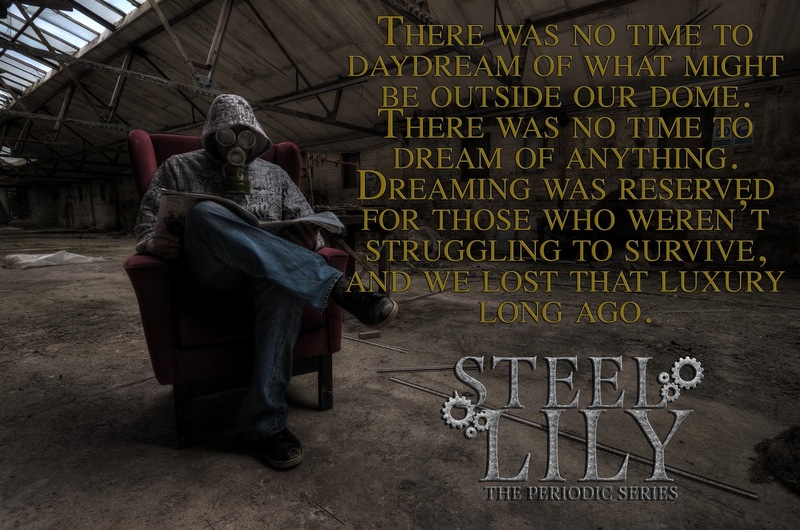 On the whole, Steel Lily is an imaginative adventure set in a dystopian world relying on steam power and elemental abilities. The characters are well rounded, the dialogue is snarky and I was rooting for the romance developing between Avery and Jax. Both of them evolve over the course of the novel. The plot was a bit predictable in some cases and completely surprised me in others. I can’t wait to return to the world of Steel Lily in the next installment of the series! Welcome to the blog, Jax! I’m thrilled you could take the time to leave your lab and come over here to answer a couple questions for us curious readers so they can get to know you! Introductions first - describe yourself in 7 words. Let’s talk about Chromelius Academy. What is your most and your least favorite aspect about it? I love the French toast. It’s phenomenal. And my least favorite thing is any day that French toast isn’t served. *smiles* Wait…did you want a serious answer? Okay, okay. I love the French toast…no, really. I do. And sneaking out to drive the Porsche I saved. As for dislikes…well, I would assume that’s obvious. The place isn’t what it seems. No one comes or goes on their own accord, even if that’s what they want you to believe. The first time Avery meets you, you are driving a big steel contraption, one of your many inventions. Why don’t you tell us a little more about your abilities, and about what else you’re currently working on in your lab? My main strength is alchemy—turning items into silver or gold. I really want to make something for Avery *glances around to see if she’s looking* when we’re not busy. Something that’ll really make her smile. Do you have any suggestions? Oh, I think the present you gave her near the end of the book was perfect! So, speaking of Avery. What was your first impression of her, and how did it change as you got to know her better? Well at first I thought she was a loony bin. I mean, really, who gets an entire military force chasing them around if they’re not a little crazy? But then I got to know her, and… she’s different. In a good way. Special. *looks off* I’m glad I have her in my life. Having gone through all the momentous events and revelations at the end of Steel Lily, what are your hopes for the future? I want to have a life that means more than just surviving. I want to help people see what potential there is… and I hope we can do that. Plus I want to get to know Avery better. She’s amazing. Tell us something you’re proud of and something you regret? Something I’m proud of? Designing the star mural that’s inlaid in the floor at Chromelius Academy. Something I regret? My choices at Chromelius. I want to learn from them and become someone better in the future, if that makes sense. Thanks again for stopping by Jax! It was awesome to get to know you better! So now that you've read my review and got to know Jax, what do you think about Steel Lily? I hope I could whet your appetite! You can follow along with the tour and check out more guest posts, excerpts and interviews - the schedule is below. And don't forget to enter the giveaway! At first I wasn't too sure about this one, but your review is fantastic! It is definitely on my To Read list now! And I love how you interviewed Jax! Thank you for being on the Steel Lily tour! I loved your review and the character interview was great! SO JAXON! I have a copy of this book, but I've not read it yet. It sounds like a great book and I'm interested in reading more about steampunk, so I'll have to move it up my TBR list.